Junior drum sets are popular for kids under age 10 because they provide a great way to learn about rhythm and music. The average cost is between $80 and $200, depending on the size of the kit. All kits include a bass drum with pedal, a snare, a tom-tom, a cymbal and a stool, but many add more cymbals and even more snares. 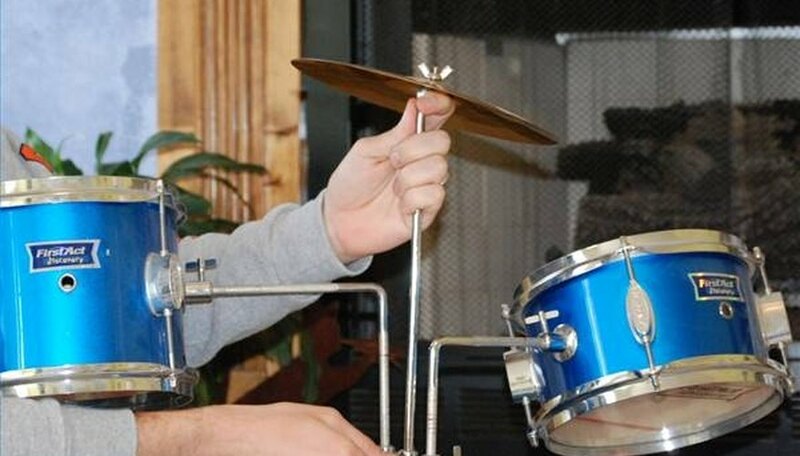 Although a junior drum set may make your ears hurt once a child starts playing it, the construction process isn't nearly that bad. Find the bass drum, which should be the biggest piece of equipment. Place it upright with the stand outlets facing the ground. Put the two stands into the kit and position them. It shouldn't wobble. The bass drum is the main component of the set and provides the basic rhythm for a song. 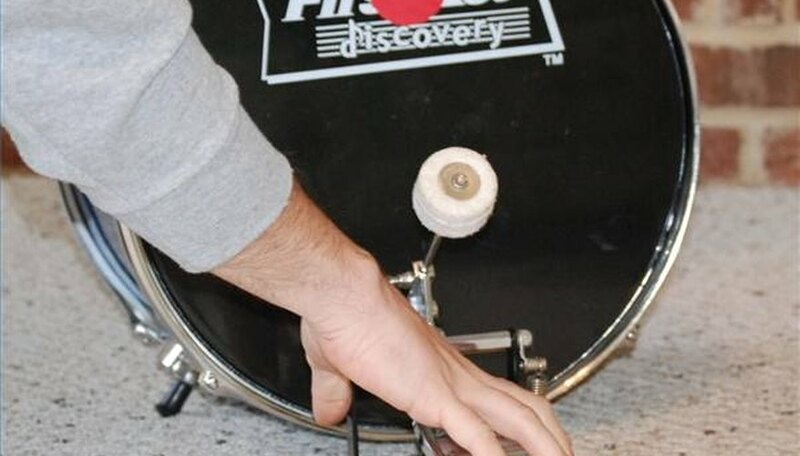 Attach the snare drum by sliding its pole into the first hole at the top of the bass drum. Tighten the crank to get it in place. Note that some sets might have a freestanding snare that rests on its own stand. Attach the tom-tom drum in the third hole and crank it into place. Some sets might have two tom-toms, which are used to help break up rhythms. Place the cymbal in the top hole and tighten it into place. The cymbal is used to add some clashing sounds. A set may come with a high-hat, which is popular in disco and dance-based music. Attach the pedal to the back of the bass drum. Make sure it works by tapping its "head" a few times to test for movement. The pedal is used to play the bass. Adjust the seat to fit your child. You may also have to adjust the snare and tom-tom drums to get them in a place your child can reach. Most junior drum sets come with drumsticks, but you may want to buy another pair. You may have to use WD-40 to loosen some of the cranks before using them for the first time. The drum stool does not have a back, so be careful as your child gets on it for the first time.